Its investigation finds that actions by the captain from Maine, the ship owner, the Coast Guard and others contributed to the 2015 sinking that killed 33. A Coast Guard report on the El Faro disaster harshly criticizes the actions of the cargo ship’s captain and its corporate owner but also points a finger at other parties, including the Coast Guard itself. The report, issued Sunday on the second anniversary of the El Faro’s sinking, cites a long chain of negligence and poor judgment calls that it says contributed to the loss of the ship and the deaths of its 33 crew members. The report is the product of a two-year investigation that involved 280 hours of testimony from 79 witnesses. Four El Faro crew members were from Maine, including the ship’s captain, Michael Davidson of Windham. The report says ultimate responsibility for the tragedy lies with Davidson, ship owner TOTE Inc., the American Bureau of Shipping and the Coast Guard. It offers 39 recommendations to the commandant of the Coast Guard that are designed to help prevent similar tragedies. The recommendations include civil penalties against TOTE and its subsidiaries TOTE Maritime Puerto Rico and TOTE Services Inc. The families of the 33 victims will have 30 days to review the report and provide comments to the Coast Guard. 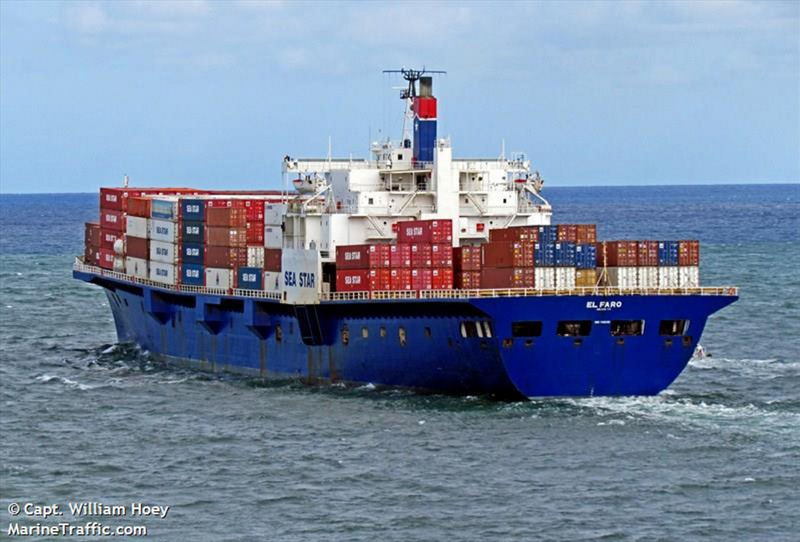 The 790-foot-long El Faro sank Oct. 1, 2015, off the coast of the Bahamas. The ship had set sail for Puerto Rico from Jacksonville, Florida, but encountered intense weather and engine trouble as the cargo ship and Hurricane Joaquin converged. Davidson had planned to take a route that was projected to keep him 65 miles from the expected path of the storm. On the day of the ship’s sinking, Davidson contacted TOTE to report a maritime emergency. A scuttle, one of the ship’s internal access hatches, had blown open and water was filling one of the holds, he said. The ship’s engine also had failed and engineers could not get it restarted. Shortly thereafter, Davidson activated an emergency alert signal that broadcast the ship’s position to the Coast Guard. The ship’s captain never regained voice communication. The Coast Guard could not locate any survivors in the days and weeks after the sinking. A search later located the wreckage on the floor of the ocean, and the ship’s voyage data recorder was recovered during a subsequent search effort. Five Polish crewmen and 28 Americans were aboard the U.S.-flagged ship – including Davidson, who was 53; Michael Holland, 25, of Wilton; and Danielle Randolph, 34, and Dylan Meklin, 23, both of Rockland – when it sank in 15,000 feet of water. 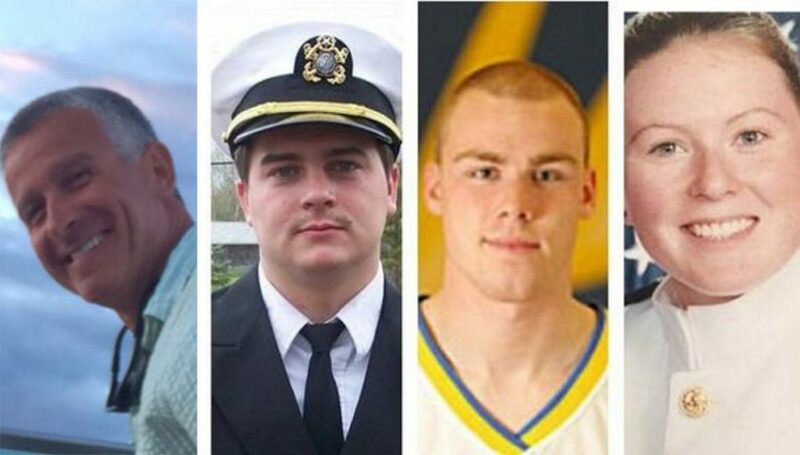 All four Mainers on board the El Faro were graduates of Maine Maritime Academy in Castine. Holland’s mother, Deb Roberts, told the Portland Press Herald on Sunday that the Coast Guard went over the report in detail with the victims’ family members before releasing it to the public. Roberts said the key takeaway for her was that no single person or entity was solely responsible for the tragedy. Attempts to reach family members of the other Mainers who were aboard the El Faro were unsuccessful Sunday. Sunday’s report does place a significant amount of the blame on Davidson, who it says misread both the strength of the hurricane and the ability of the El Faro to withstand its impact. However, its findings extend far beyond Davidson’s actions to include inadequate policies and other oversights that helped create the conditions for a tragedy to occur. Davidson failed to understand the severity of the situation even after the watch commanders warned him that the hurricane was intensifying, and that the El Faro’s projected closest point of approach was decreasing, Neubauer said. The report also faults TOTE for allowing the vessel to continue its voyage despite the oncoming hurricane, and says the company failed to ensure that the crew was adequately rested, which may have contributed to the captain’s poor decision-making. In addition, the company failed to adequately maintain critical ship systems, and failed to notify the Coast Guard or the bureau of shipping about last-minute repairs conducted before the El Faro’s departure, it says. The report recommends initiating civil penalty action against TOTE for four separate violations. Other mistakes contributing to the tragedy happened long before the El Faro left its dock, according to the report. Those included an inadequate inspection of the ship’s deteriorating condition by the bureau of shipping, and the Coast Guard’s failure to recognize that the bureau, to which it had delegated inspection duties, was not doing its job properly. That finding was based on the fact that the El Faro’s sister ship, the El Yunque, was subsequently found to have significant corrosion and other problems that had not previously been identified during inspections by the bureau. The report includes a long list of recommendations intended to prevent a recurrence of the El Faro incident, which stands as the deadliest maritime disaster involving a U.S. commercial vessel in almost 40 years. Many of the recommendations involve adding new safety requirements such as closed-circuit video systems in cargo areas, vessel weight-change tracking, locator beacons on all personal flotation devices, and review and approval of software systems for maintaining ship stability and cargo loading and securing. Other recommendations are meant to aid in the recovery and investigation of future disasters, including more easily recoverable voyage data recorders, and detachable beacons to help in relocating sunken vessels. Another recommendation calls for better oversight by the Coast Guard of classification societies such as the bureau of shipping that perform inspections and other functions on the Coast Guard’s behalf. Roberts said she appreciated that the Coast Guard was willing to examine its own role in the events that led up to the El Faro’s sinking. She also thanked the Coast Guard for its work on the investigation, and its extensive outreach to the victims’ families.